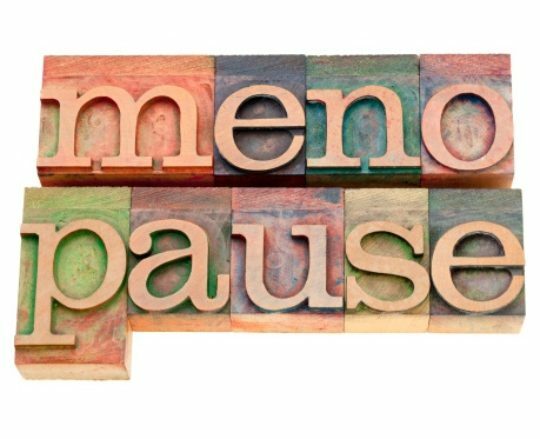 Looking for a “menopause diet,” a magical mix of foods and supplements that will allow you to sail through your change of life without so much as a hot flash or an extra pound? Sorry, the cure-all diet doesn’t exist. But that doesn’t mean what you eat during mid-life is unimportant. Actually, your diet matters more now than it did when you were younger. Your metabolism is slowing and your muscle mass is decreasing. Your body is producing less estrogen, which affects your organs and physical processes. How you eat and care for yourself now will help determine how you look and feel for the rest of your life. The U.S. Department of Agriculture has traded its food pyramid for a plate, but the message remains the same. The majority of what you eat should be fruits, vegetables and grains, with low-fat dairy and lean protein accounting for the rest. Portion sizes should be smaller and food choices should be healthier. In Dr. Holly L. Thacker's book, “The Cleveland Clinic Guide to Menopause,” she lists specific food recommendations and sources for necessary nutrients. It’s not a given that women will gain weight during or after menopause, but most do. Lack of sleep caused by hot flashes and night sweats interferes with the hormones that regulate appetite, which can cause you to eat even when you’re not hungry. It’s important to avoid fats. Saturated fats, which can be found in animal products, raise cholesterol. Worse are trans fats, which are found in commercially packaged foods. I’m sure you have heard about soy and its reputation as the food to eat during menopause. Studies have shown that Asian women who eat a lot of soy tend to have fewer hot flashes and lower rates of breast cancer than American women. Soy is a rich source of phytoestrogens, compounds that can behave like estrogen in the body. Some women metabolize this substance into equol, a weak estrogen. However, soy is not a cure-all. It does not dissipate all menopausal symptoms and does not work equally for all women. We don’t recommend any women, particularly breast cancer survivors, take soy supplements, such as pills or powders. I do recommend flaxseed, which contains omega-3s and lignans, which are believed to be anti-cancer agents. Eat or drink three to four servings of dairy products and calcium-rich foods a day. However, you can eat healthy and still not get the recommended 1,200 mg a day. That’s why we recommend a calcium supplement if you avoid dairy products. Vitamin D is necessary for the best absorption of calcium and is critical to other aspects of women’s health. Experts recommend 800 to 1,000 IU of vitamin D daily to up to 2,000 IU per day. Getting enough iron continues to be important even if you are no longer menstruating. Hot flashes can be triggered by spicy foods, hot beverages, caffeine and alcohol. Watch what you eat and see if any of these bring on hot flashes. Eat less red meat. It will help keep your cholesterol levels down and lower your risk of heart disease. Cut vegetables ahead of time for salads, sides and snacks. Prepare meals you can reinvent the next night. Store healthy frozen dinners in your freezer for lunches or dinners. Pack meal supplements such as nutrition bars for lunches on the run.